Sergio Leone and the Infield Fly Rule: FUNK DECIMATOR: JB's INNER CHUCKY! When these two giants of pop culture meet, there's bound to eventually be "One Less Lonely Girl" in the audience! 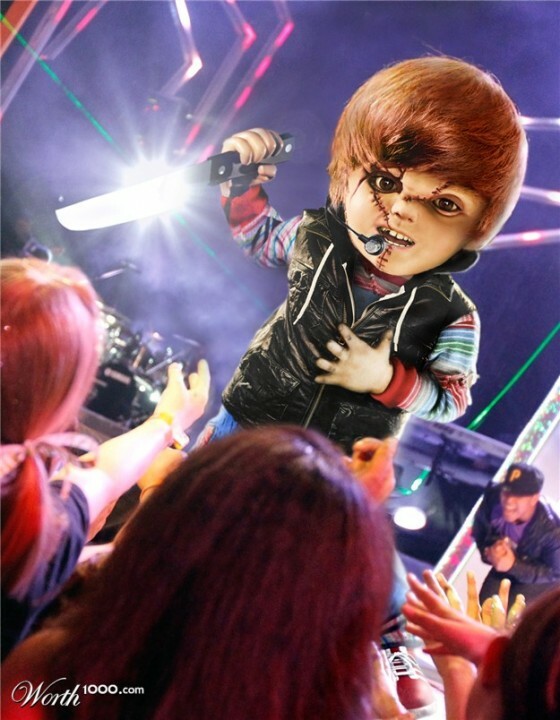 Especially when Chucky Bieber whips out the hardware for his big solo hit "Ade Due Damballa (Give Me the Power, I Beg of You)," which enters the charts this week at number one!